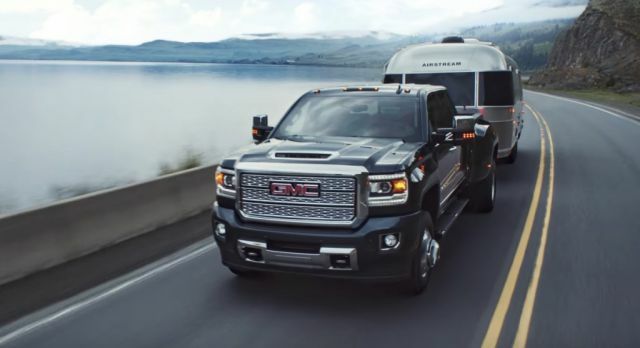 The new 2018 GMC Sierra Denali is a powerful pickup truck that is capable of hauling heavy loads. The older models were common on American roads and were mostly used by farmers, small business owners and workers. However, due to its new look and consistent upgrades over the years, the 2018 model is an imposing car that can be comfortably used as a family car. 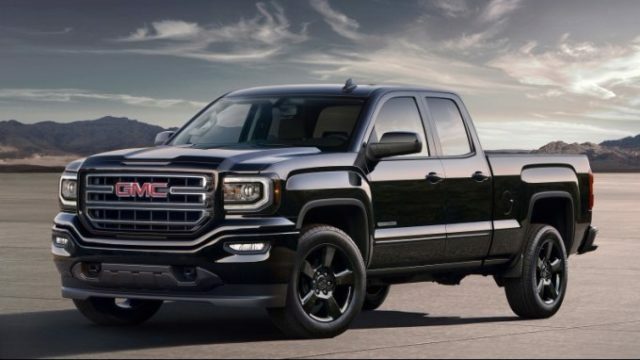 The 2018 GMC Sierra Denali has a very masculine look. 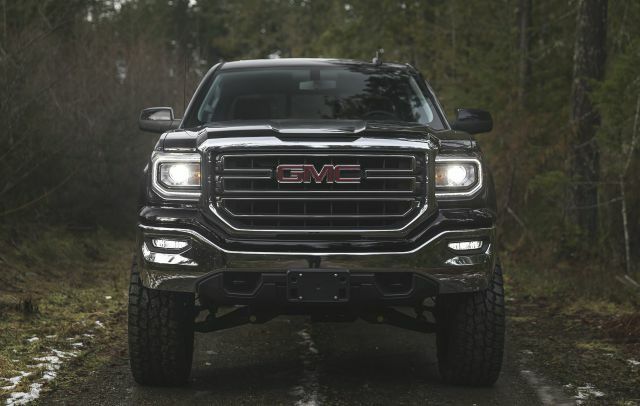 The front chrome grill gives the truck a strong and tough appearance. This grill is wider to allow for more air to get into the engine for better fuel combustion. The car’s wheels are made from bright machined aluminum and come in 20″ size. To complete this shiny look, the door handles and side moldings are made using chrome while the side mirrors have chrome caps. 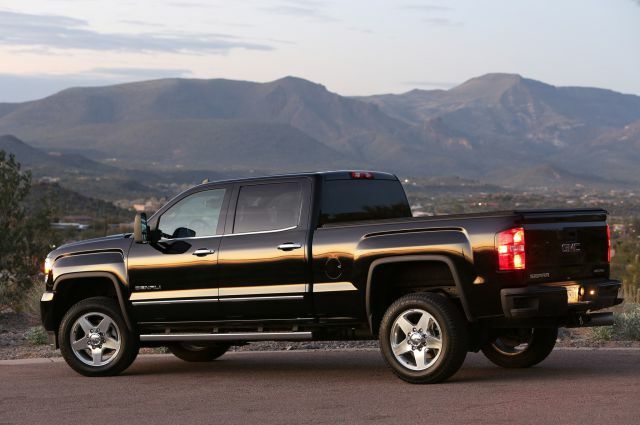 The Denali has LED thin profile fog lamps, headlamps and tail lamps. Its headlamps are controlled by IntelliBeam technology which automatically turns high beam headlamps on or off depending on the nearby traffic. Additionally, the car has a sunroof for better lighting and sky viewing as well as a spray-on bed liner to protect its cargo bed from damage. The 2018 GMC Sierra Denali interior is designed for luxury and comfort. For luxury, the seats are made from pure leather and stitched along every joint. For comfort, the steering wheel is heated while the front seats are vented and heated and can be adjusted in 12 different ways. A Magnetic Ride Control System ensures that the car is stable and smooth by adjusting the suspension accordingly. The manufacturers have gone a step further to ensure that the cabin is as quiet as possible. The car has a valved exhaust system to reduce engine noise, triple door seals to block outside noise and an active noise cancellation system. The side mirrors are aerodynamically designed to reduce wind noise while hydraulic engine and body mounts reduce vibrations towards the cabin. 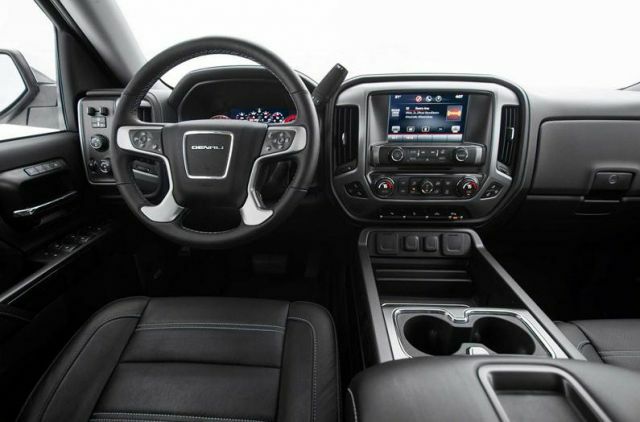 Other interesting features in the 2018 GMC Sierra Denali include an 8” touch screen for entertainment and smartphone integration to enable hands-free calling. A wireless charging pad and a 4G Wi-Fi hotspot are also included. An MYGMC mobile app is also available and it allows for remote controlling of the Denali. This includes remote engine start, fuel level check, tire pressure and car location check. 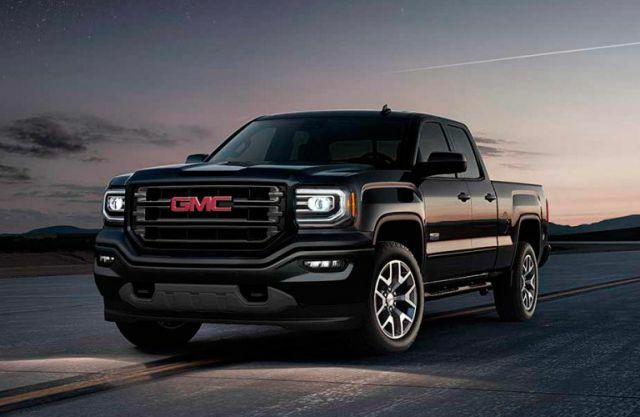 This new 2018 GMC Sierra Denali has two engine options. The first option is a 5.3-liter V8 gasoline engine that will produce 355 HP and 383 lb-ft. This engine is mounted to a 6-speed transmission system. The second option is a 6.2-liter V8 gasoline engine with 420 HP. It will be mounted on an 8-speed transmission system. Both options will be AWD and although details of the top speed and fuel consumption are not clearly known. 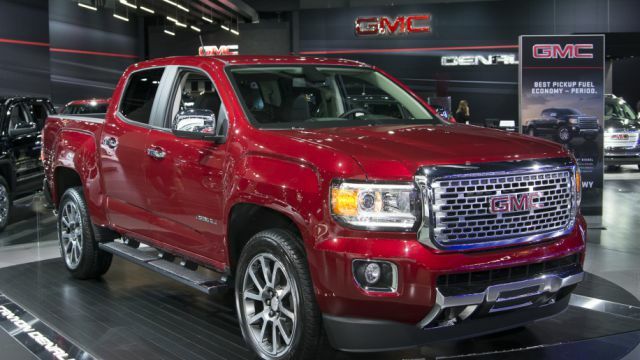 The base model of the 2018 GMC Sierra Denali is expected to cost approximately $52.000. Its release date is expected to be in the last quarter of this year.